Ready to learn Data Science? Browse courses like Data Science Training and Certification developed by industry thought leaders and Experfy in Harvard Innovation Lab. When the statement “It’s just like BPR from twenty years ago, but with tech that actually works” rang out at the recent London FORA Summit, the nods around the room were palpable. 2017 has undoubtedly been the break-out year for enterprise robotics software. We witnessed a whole new industry emerge around robotic technologies that can stitch together workflows, processes, applications and desktop interfaces to provide a genuine transformation of the digital underbelly for so many enterprises, many of whom have suffered for decades from inefficient manual workarounds and spaghetti code clogging up their ability to access data and run their businesses properly. Today, the emerging solutions available on the market do not load the enterprise transformation blunderbuss with silver bullets, but they do provide a starting point to improve fundamentally the data underbelly of an organization. And, for so many organizations, they are turning to robotics software RPA (Robotic Process Automation) and RDA (Robotic Desktop Automation) as the starting point. The global market for RPA Software and Services will reach $898 million in 2018 and is expected to grow to $2.2 billion by 2021 at a compound annual growth rate of 54%. Example use-case: automating invoice processing across multiple business applications handling rule-based exceptions. RPA is different from traditional automation software as it is inherently capable of recognizing and adapting to deviations in data or exceptions when confronted by large volumes of data. In effect, it can be intelligently trained to analyze large amounts of data from software processes and translate them to triggers for new actions, responses, and communication with other systems. RPA describes a software development toolkit that allows non-engineers to quickly create software robots (known commonly as “bots”) to automate rules-driven business processes. At the core, an RPA system imitates human interventions that interact with internal IT systems. It is a non-invasive application that requires minimum integration with the existing IT setup; delivering productivity by replacing human effort to complete the task. Any company which has labor-intensive processes, where people are performing high-volume, highly transactional process functions, will boost their capabilities and save money and time with robotic process automation. Much fr RPA is self-triggered (bots pass tasks to humans), but requires human intervention for judgment-intensive tasks and robust human governance and to make changes/improvements. Similarly, RPA offers enough advantage to companies which operate with very few people or shortage of labor. Both situations offer a welcome opportunity to save on cost as well as streamline the resource allocation by deploying automation. The direct services market includes implementation and consulting services focused on building RPA capabilities within an organization. It does not include wider operational services like BPO, which may include RPA becoming increasingly embedded in its delivery. In addition to RPA, the other software toolset which comprises the emergence of enterprise robotics software is termed RDA (Robotic Desktop Automation). Together with RPA, RDA will help drive the market for enterprise robotic software towards $1.5bn in software and services expenditure in 2018 (with close to three-quarters tied to the services element of strategy, design, transformation and implementation of enterprise robotics). HfS’ new estimates are for the total enterprise robotics software and services market to surpass $3 billion by 2021 as a compound growth rate of 39%. In short, every siloed dataset restricts the analytical insight that makes process owners strategic contributors to the business. 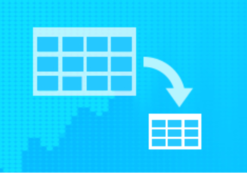 You can’t create value – or transform a business operation – without converged, real-time data. Digitally-driven organizations must create a Digital Underbelly to support the front office by automating manual processes, digitizing manual documents to create converged datasets, and embracing the cloud in a way that enables genuine scalability and security for a digital organization. Organizations simply cannot be effective with a digital strategy without automating processes intelligently – forget all the hype around robotics and jobs going away, this is about making processes run digitally so smart organizations can grow their digital businesses and create new work and opportunities. This is where RPA and RDA adds most value today… however, as more processes become digitized, the more value we can glean from cognitive applications that feed off data patterns to help orchestrate more intelligent, broader process chains that link the front to the back office. 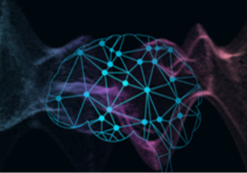 In our view, as these solutions mature, we’ll see a real convergence of analytics, RPA, and cognitive solutions as intelligent data orchestration becomes the true lifeblood – and currency – for organizations. Do take some time to read the HfS Trifecta to understand the real enmeshing of automation, analytics, and AI. Phil Fresht, the author, and creator of the most widely-read and acclaimed blog in the global services industry, entitled “Horses for Sources”, is CEO and Chief Analyst at HfS Research. He regularly contributes to media such as Wall St Journal, Business Week, Economist, The Times of India and CIO Magazine and is a regular keynote speaker at major industry events, such as NASSCOM, ANDI, ABSL, Global Sourcing Association, SSON, Sourcing Interests Group and HfS Summits. 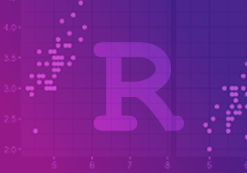 Learn Programming In R And R-Studio. Data Science, Packages, Functions, GGPlot2.